What does eco-friendly printing mean at Ecoprint? Most people like to see organizations demonstrate their environmental commitment. 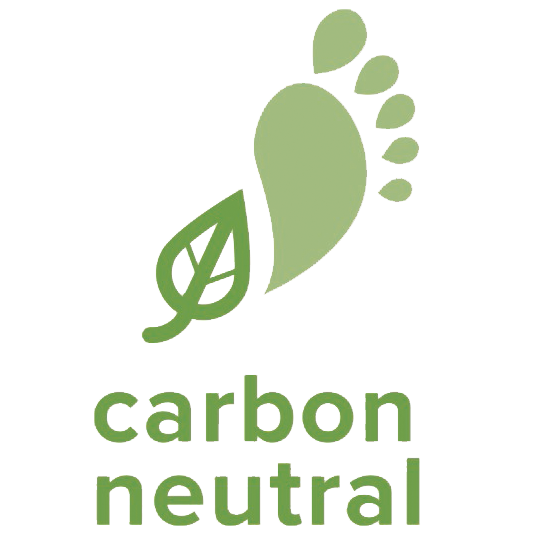 This is why we created these environmental logos to promote the environmental friendliness of your product and to let your audience know the choices you are making by identifying the use of our carbon neutral manufacturing processes, inks and papers. Download these icons to use on your projects or ask your Ecoprint representative for more information. Organizations that are responsible for no net emissions of greenhouse gases (GHG) from all its activities are considered carbon neutral. 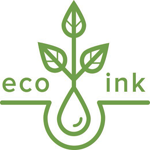 We use eco-friendly vegetable oil-based inks which provide high quality without the harmful additives found in traditional inks. 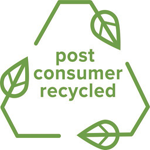 Post-consumer waste fiber is generated from consumer end products that have been separated or diverted from the solid waste stream. 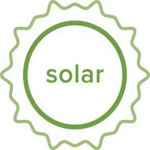 The solar logo communicates that the printing of the project was performed at a facility utilizing purchased solar power to generate green clean electricity. 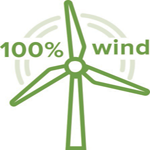 The 100% wind logo communicates that the printing of the project was performed at a facility purchasing 100% wind energy.